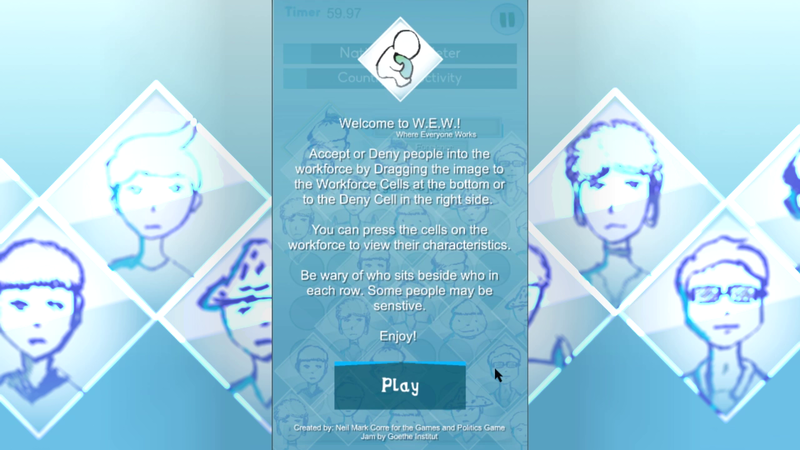 Welcome to the world of W.E.W. Where everyone works. Play the role of a person in charge of accepting or denying applicants into the workforce. Manage the balance of foreigners and local citizens with varying personalities. Be cautious on who you put next to each other. NOTE: The file is an APK file (for android). 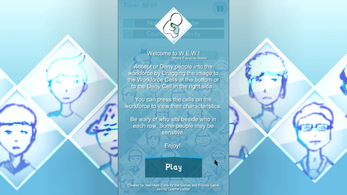 Drag and drop the image on the top-left portion to the cells at the bottom to add the worker on the workforce. Or, you can drop them in the circle on the right side of the screen to deny them. You can tap the people in the workplace to see more details about them, to help you plan on who sits next to who. 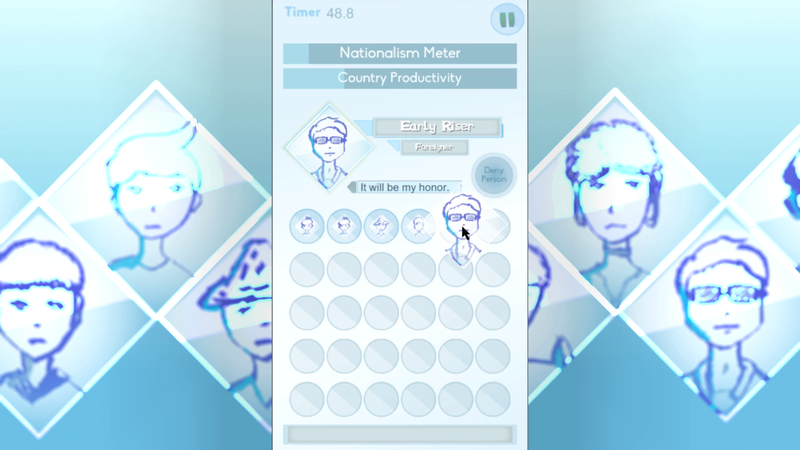 This is a game submission for Goethe Institut's Games and Politics 24-hour game jam with the theme, "Migration and Nationalism". 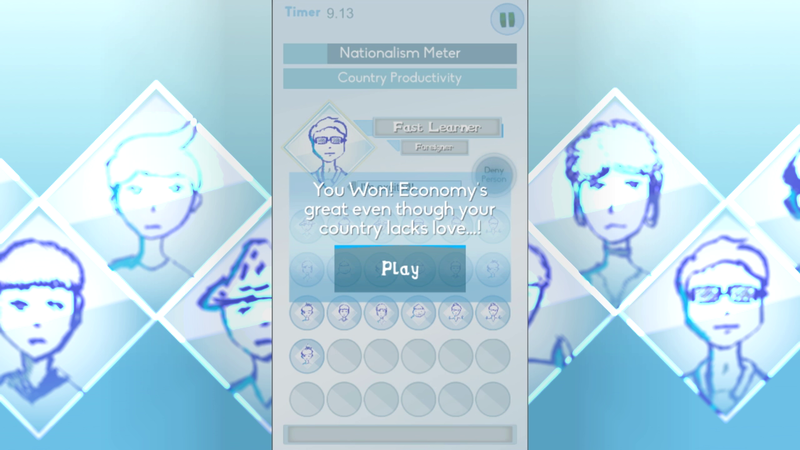 Download the APK, install in your android device, and enjoy!